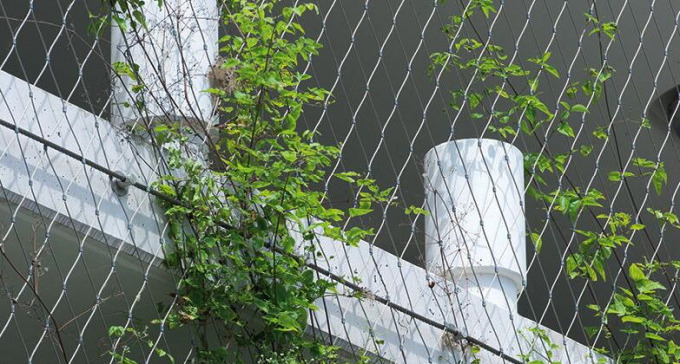 Our rope wire mesh netting ange from ferruled wire rope mesh , knotted wire rope mesh to various installation's accessories . 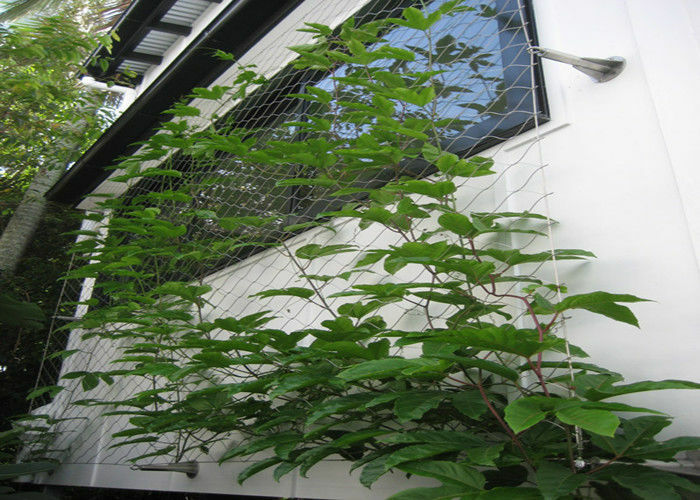 Also we can provide black oxide wire rope mesh . 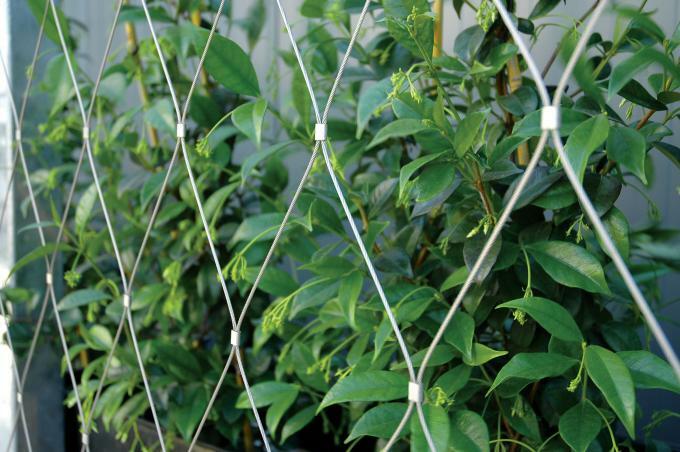 Wire Rope Plant Trellis Mesh by Yuntong made from stainless steel wires, and has skin-like characteristics. It can form a plane surface but can also be tensioned into three-dimensional forms featuring funnel-like, cylindrical or spherical. 1. Stainless steel wire is selected for their wear-resisting, heat-resisting, acid-resisting and corrosion resisting characteristics. Many different grades of stainless are used in wire cloth. T304 is the most common, but other are used in specific applications to take advantage of each grade’s unique properties. 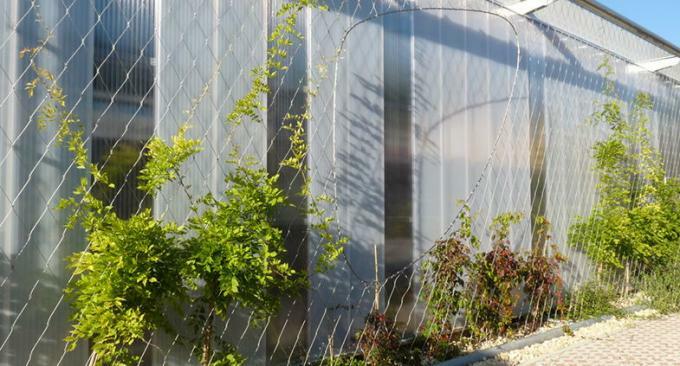 The wire mesh made of stainless steel is extensively used in mining, chemical industry, food industry and pharmaceutical industry. 2. Wire Materials: SUS302, 304, 316, 304L, 316L. 3. Characteristics: Square aperture, less rigid than plain weave, especially suitable for deforming, strong wire cloth due to ratio of wire diameter and aperture, it is mostly used for filtration less than 63 μm . 4. Typical Weaving Patterns: Plain weave, twill weave, dutch weave, twilled dutch weave.